The Pin Cushion 皇后乐队. From "The Melancholy Death of Oyster Boy and Other Stories" 由 Tim Burton.. Wallpaper and background images in the 蒂姆·伯顿 club tagged: tim burton the melancholy death of oyster boy and other stories. 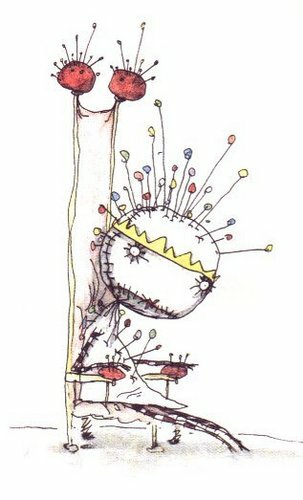 From "The Melancholy Death of Oyster Boy and Other Stories" 由 Tim Burton.